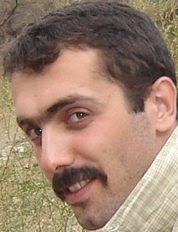 As many of you may know Mr. Habbibolah Latifi is a 28 years old Kurdish student who was arrested in October of 2007. Mr. Latifi was tortured brutally and was hospitalized twice as a result of torture while he was in custody. Mr. Latifi was convicted of risking national security and sentenced to death. Most recently his death sentence was upheld by the Court of Appeal, even though according to his lawyer there was very strong evidence that any confessions he may have given were given under severe torture. A campaign has been started to collect signatures in support of Mr. Latifi. Please take a moment to read the campaign and to spread the word.